Earlier today at SDCC 2015, Capcom showed off a decidedly different look for Ryu’s eternal rival. 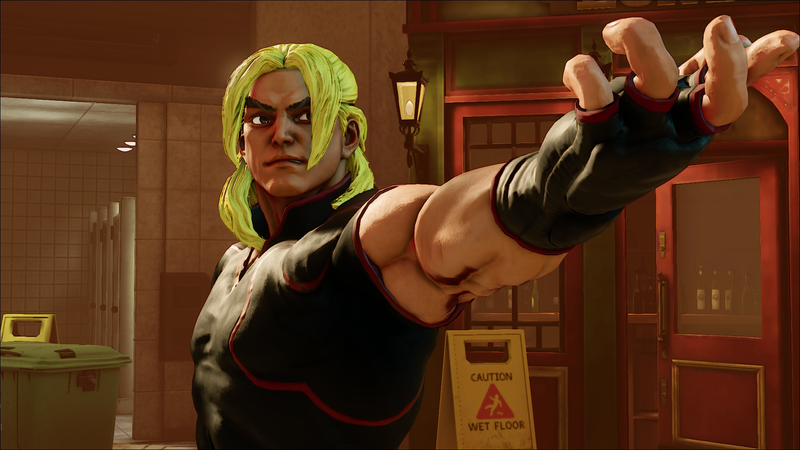 Ken’s looking more different from Ryu than he ever has, but who’s that mystery guy at the end of the trailer? Our mystery fighter sports yellow eyes and what looks to be some kind of facial scarring. I can’t think of a character in the history of the series that matches that description, can you? Let me know in the comments.